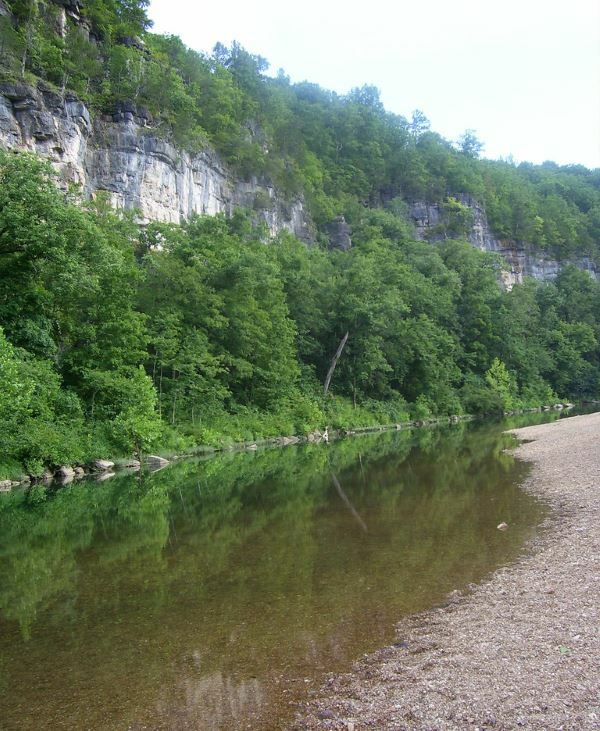 A tributary of the Current, the Jacks Fork River is one of the wildest and most scenic of all Missouri Ozark streams. Clear waters roaring down the valley are surrounded by steep walls and massive cliffs. The Jacks Fork is a class I / II river and the average gradient is 7 feet. Click here for a list of canoe, kayak or tube rentals near the Jacks Fork River on our Canoeing page. Click here for a mile by mile description of the Jacks Fork River, courtesy of the Missouri Department of Conservation. For Jacks Fork water levels @ Mountain View, CLICK HERE. For Jacks Fork water levels @ Alley Spring, CLICK HERE. For Jacks Fork water levels @ Eminence, CLICK HERE. For Jacks Fork water predictions, CLICK HERE.